So unbelievably weird, but I suppose it's plausible that one might be stealing another's livelihood this way. It's hard to imagine such a cut-throat farmer working on such a small scale. It is still a "hanging offense" to steal cattle. Very serious about cattle crime here. Purchase and Sale of Human Organs is prohibited. This won't help you when you wake up packed in ice in the bathtub. One must acknowledge a supreme being before being able to hold public office. A program has been created in the state that attempts to control the weather. How can this coincide with the belief in a supreme being?! A permit costing five-dollars is required to go around barefoot. 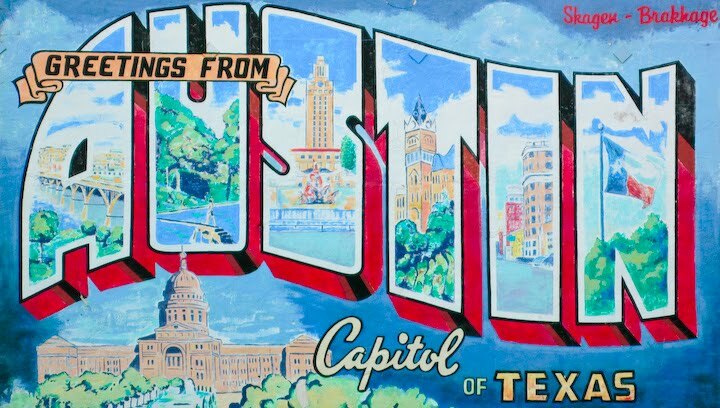 Um, hey Texas, have you met Austin? Lefors: It is illegal to take more than three sips of beer at a time while standing. Though 18 year-olds can buy shotguns. Dallas: It is illegal to possess realistic dildos. Who gets to judge this? Is this really what the justice system is for? El Paso: Appearing in public places wearing a “lewd dress” is prohibited. Look buddy, I call them "sewing projects." There is also some random yet oddly commonsensical statures about not be able to eat money or raise alligators in one's house. How do these things become law, especially in an incredibly conservative state that advocates for "less" government control? Texas is number one in the country for executions of death-row inmates, and 69% of the state is in favor of capital punishment. 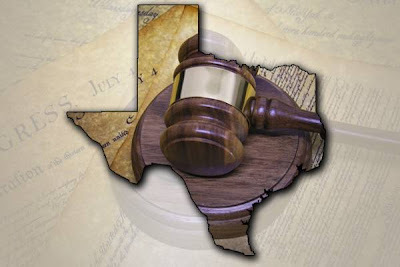 Texas courts have a tendency to judge conservatively and punishments tend to be harsher, especially for drug offenders. Three of the top ten most crime-addled cities in the country are in Texas: Houston (#4), San Antonio (#8), and Dallas (#9), according to the FBI rankings. An interesting point: while almost 80% of Texans are high school graduates, only one quarter the Texas population has a bachelors degree or more, according to the 2007 census information on Education Attainment by State (2010 isn't yet available). Without a substantial amount of analytical scholars, who can professionally counter avaricious or self-aggrandizing politicians and dishonorable agendas? Who will fight against discriminatory practices and unconstitutional (not to mention frivolous) rules and regulations? Check out these laws and more at Texas Constitution and Statutes. May want to rethink the blue font on the Gulden's Brown background. Tough on the old folks eyes.